Situated just 2hr 10min from Paris by TGV train (or 3hr 30min by car), Nantes is home to the majestic Château of the Dukes of Brittany. Spend a day discovering this cosmopolitan city and the final château on the banks of the Loire before the Atlantic Ocean. 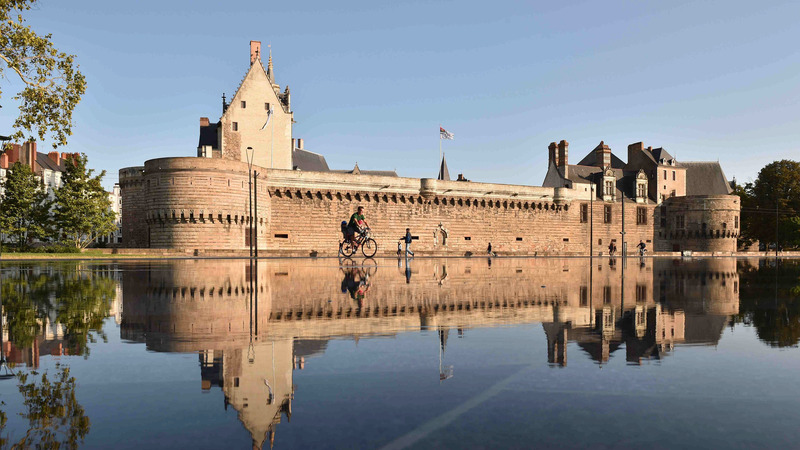 The prestigious Château of the Dukes of Brittany is located in the heart of the city centre. Discover its courtyard, ramparts, moat gardens and the Museum of the History of Nantes housed within its walls. After your visit, wander along the pedestrian streets in the Bouffay district (the historic city centre) and around the stunning Saint-Pierre-et-Saint-Paul cathedral. Stop in one of the many shops selling local specialities to pick up a couple of tasty souvenirs! For guaranteed quality dining, take your pick from among the Tables de Nantes restaurants. 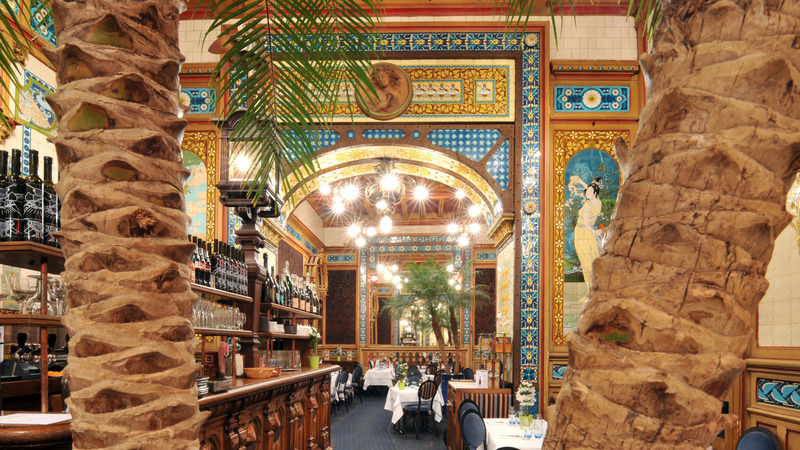 Another great place in Nantes is the La Cigale brasserie, where you can enjoy excellent seafood. Cross the Loire and conquer the Ile de Nantes. 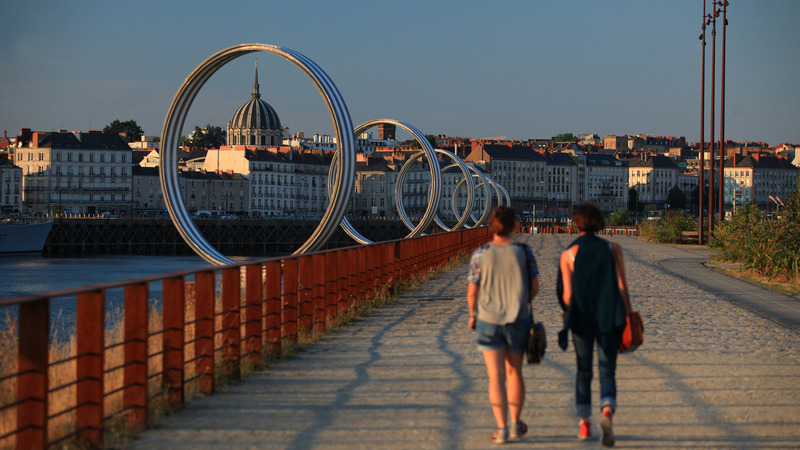 Soak up the pleasantly unusual atmosphere surrounding the Island Machines or the works on the Nantes “Estuaire” art trail (including Les Anneaux by Buren). Return to the centre of Nantes and stop by at Le Lieu Unique (“LU”) and its tower. This former biscuit factory has been converted into an events venue of national renown and a bar-club, and is a popular place among Nantes residents. End the day with a spot of shopping in the famous Passage Pommeraye before treating yourself to a drink in the “Le Nid” bar on the 32nd floor of the Tour de Bretagne, where you can also enjoy a panoramic view of the city of Nantes! To return to Paris, allow 2hr 10min by TGV from Nantes train station (or 3hr 30min by car - 385 km).